The death of Barbara Bush last week at age 92 triggered widespread praise for her frank, yet principled, career in public life and her behind-the-scenes role in the presidencies of her husband, George H. W. Bush, and son, George W. Bush. When my wife, Kathy, read her obituary, she looked up from the paper: “That’s class,” she said, admiringly. Maybe it’s because the culture of our public life has coarsened markedly in recent years, but it does seem to me that people like Barbara Bush, people who are the very definition of class, are getting harder and harder to find. This is happening in a country whose politics have in recent days plunged into the realm of the rude (and worse) and where nasty civic discourse is now served out in tweets of 280 characters each. The basic presumption behind our constitutional democracy has always been that men and women of good will find ways to understand each other’s points of view to reach respectful and reasonable compromises. That’s not happening now. One of the reasons Washington and, to a degree, Lansing are in such terrible partisan gridlock is the lack of civil exchange and mutual respect – both essential attributes of class. But that doesn’t mean class is extinct. Fortunately, we have some remarkable role models right here in Michigan. In honor of the late Mrs. Bush, I’ve picked just four out of many … and I invite readers to submit their own nominations. 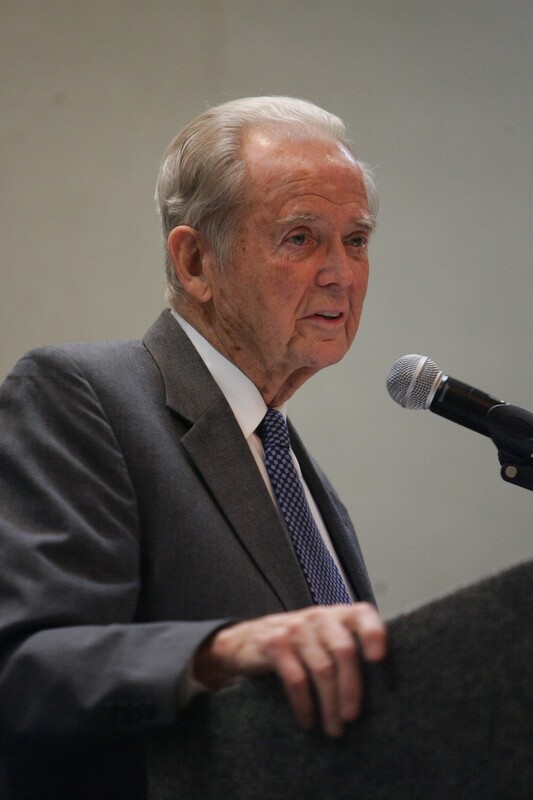 Start with former governor William G. Milliken, who served from 1969 to 1983, the longest-serving governor in Michigan history. Milliken started his career in the state senate, where he made common cause with sensible Democrats against the prevailing mossback Republicans. He became lieutenant governor under George Romney, and when Romney resigned to join President Nixon’s cabinet Milliken took the reins of governor. He was elected in 1970 and re-elected in 1974 and 1978, each time by larger margins. He and his late wife Helen retired to their Traverse City home, where he is still living today at 96. Milliken made famous the doctrine that “good government makes good politics.” He was invariably soft-spoken and considerate, yet under his friendly exterior there lurked a strong will. His close relationship with former Detroit Mayor Coleman Young irked Democrats and Republicans alike, but it forged an inclusive political style that served Michigan well for years. The once-shining image of Michigan politics as mostly bipartisan, reasonable and moderate – was forged largely during Milliken’s long period in office. Senior Federal Appeals Court Judge Damon Keith, who will turn 96 on the Fourth of July, towered over the civil rights community for 50 years and set the standard for inclusive racial politics. He served in the U.S. Army, got his law degree from Howard University, a Master of Laws from Wayne State University Law School and was appointed to the federal bench, first as a circuit judge by President Lyndon B. Johnson and then elevated to the court of appeals by President Jimmy Carter. Judge Keith and his wide and remarkable range of friends and acquaintances have represented the absolute center of civic integrity in Detroit for the past 50 years. Thoughtful and soft-spoken but passionate in his commitment to a just and inclusive society, he made himself indispensable to those who wanted to work for a revitalized city of Detroit and a thriving metropolitan area. His community dinners on Thanksgiving were legendary. There are countless people in public life today who owe so much of their career success to his continuing advice and support. 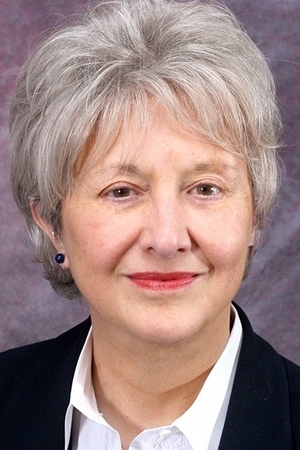 Go to Kalamazoo and ask about the most influential persons in town, and you’ll quickly come across Marilyn Schlack, the just-retired president of Kalamazoo Valley Community College. Marilyn was the first female community college president in Michigan history, having earned her BA in English from the University of Michigan and a PhD in higher education and administration from Western Michigan. She has served on just about any community venture in town and is especially noted as the driving force behind the Arcadia Commons, a community development program credited with revitalizing Kalamazoo’s downtown. I’ve always thought she was among the very best community college presidents in Michigan. But it wasn’t until the Kalamazoo Promise – the locally-funded program that pays tuition at a four-year college to graduates of Kalamazoo public schools – that I really took notice. Among the unanticipated results of the Promise was the spike in demand for someone to get them up to speed from students who graduated high school with holes in their academic preparation. Tons of them wound up at her community college. Did Marilyn whine? Complain? Nope. She worked out ways to get the job done. Her devotion to their academic success and her quiet diligence in making that possible are, for me, the essence of class. For years and years, whenever I’ve been at a meeting designed to get something useful done, one of the people at the table has always been Paul Hillegonds. Paul began serving in the State House in 1979 and became Republican Leader in 1987. He served as co-speaker of the House with Democrat Curtis Hertel when the R’s and D’s held an equal number of seats in 1993-94. Managing the House of Representatives is a little like herding cats, but Paul managed to work with both the Republican and the Democratic caucuses and came away with his reputation enhanced. He headed Detroit Renaissance (now called Business Leaders for Michigan) in the early days when many people feared it would be impossible to get the business community working hand in glove with Detroit politicians. 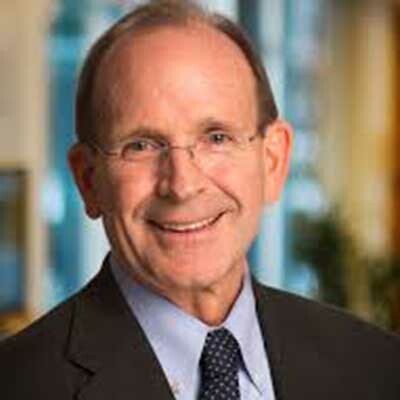 His success led to his work as director of government relations for the giant utility, DTE Energy. Throughout the years, I’ve had the pleasure of working with Paul in all kinds of situations. (He serves on the Center for Michigan’s steering committee.) His unvarying comment when confronted with a big problem: “Well, let’s just think this through carefully.” I’ve never heard him raise his voice, lose his patient focus on the job, or put down others in disagreement. Class, in my experience, is lots of different things expressed in different ways by different people. No, I can’t define it in words either, but I’ve been lucky enough to know it when I’ve seen it … and in admiration to realize how very important it is for all of us. These people are in contrast to the scorched earth, take no prisoners attitude of many politicians today. You said it best "you know it when you see it". True public service is a dying virtue in this current world we live in. In my mind, Former President Barack and First Lady Michelle Obama are excellent examples of class in a younger generation; proof that there can be hope if we keep talking about the importance of bringing civility back to public discourse. Thanks for a timely and much-needed of what's important in our shared political life! you nailed it with your four nominees. they are all first class, and would have been my suggestions as well. I am no longer living in Michigan (working at University of Florida), but i stay in touch. thanks for raising the flag on this issue. Great article and have met all but Marilyn! In these times of trash tweets it's so important for young people to see these role models now could you select 4 who are in their 30s or 40s ? Thx for your opinions. Phil ! Each is worthy of selection based on their evident civility and accomplishments and even more so when compared to prominent or notorious leaders of today. Agree these are great examples, as are the ones listed in prior comments. I'm struck that I'm struggling to come up with equally strong names -- maybe a reflection of the era of term limits and the resulting shorter tenures of elected officials in Michigan. Inclusion of Gov. Milliken is predictable and accurate. I was particularly pleased to see the recognition of Paul Hillegonds, a truly classy and effective legislator and citizen. Nice article and appreciated. The four you picked and of course, Mrs. Bush, are the epitome of our missing political device, compromise. Your writing is always impeccable and your thoughts on all matters are brilliant and meritorious. Keep being a voice for Michigan and a voice for sanity and moderation. Phil, thank you for a terrific column. A modern Profiles in Courage in the making. I hope you'll consider making this a regular column, profiling a new example of Michigan statesmanship every month. Our fellow citizens need to see what a classy politician looks like on a regular basis, not just when one of the few pass on to their eternal reward. I could not agree more with your choice of Paul Hillegonds. Early in his career Paul and I served together on former Cong. Philip Ruppe's staff in Washington. Paul exemplified the true definition of a public servant and mentor whose compassion was evidenced on a daily basis as we served the rural residents of the now 1st Congressional District. I think you could add to that list our good friend and "Governor of the U.P., Thomas Baldini.